It will be available soon for $50 per unit. 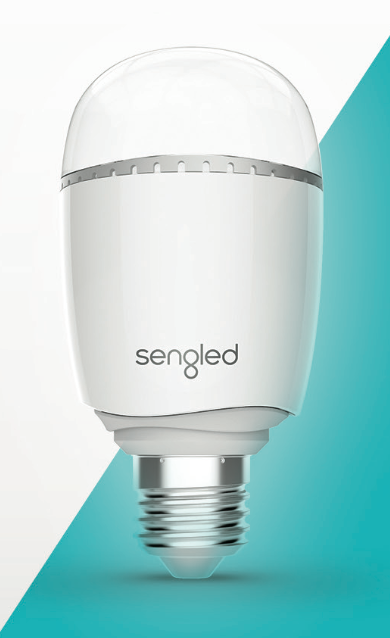 Sengled introduces new smart lighting portfolio, with Boost — the Global First Built-in Wi-Fi repeater LED bulb, and the Pulse 7.1 –LED Wireless Audio System bulb at IFA 2014, which was held from September 5 to 10 in Berlin. Sengled, a leading LED smart lighting manufacturer from China, introduced its extension of innovative smart lighting products for consumers at IFA 2014 in Berlin: Boost, the global first built-in Wi-Fi repeater LED bulb and Pulse 7.1, an extension of the product early launched in the USA and Europe. Pulse 7.1 is a LED smart lighting product capable of wireless music play and includes one Master bulb and seven Satellite bulbs, which can be wirelessly connected. As an important link of smart home, Sengled is dedicated to exploring the blue ocean of smart lighting and integrating more funny functions using brand new technology into LED lighting products so as to bring continuous surprise to customers, completely change their home life and make light more meaningful. “It is our vision becoming an innovation driver. We will bring endless smart products with practical, funny and convenient, and benefits for users and new user experiences”, says Johnson Shen, Chief Executive Officer of Sengled. As a LED intelligent light with Wi-Fi expander for the first time in the world, the Sengled Boost supports two Wi-Fi network modes: Access Point (AP) / Repeater. It has two build-in antennas for high throughput data exchange rate of maximum 300Mbps. Moreover it is compatible with most smartphones, tablets and computers that support Wi-Fi IEEE 802.11b/g/n standard at 2.4GHz. The remote LED lights ON/OFF and dimming control can be controlled individually or by group. The free Boost App can be downloaded for free via Boost Android or iOS App.